SOUND OFF AND WIN: How empty is your DVR? Here’s a little contest for all our DIRECTV customers with DVRs. Today’s DVRs can hold up to 200 hours of HD or 1000 hours of SD content. How full is yours? Reply to this article here or through any of our social media channels and you’ll be entered into a drawing to win a 2-pack of DIRECTV RF remotes. 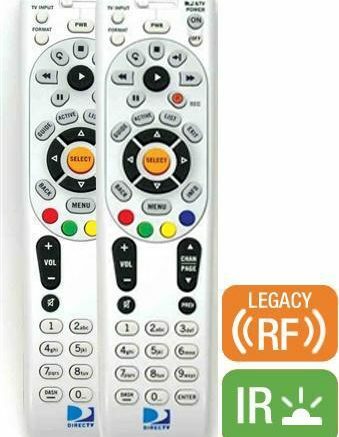 These remotes work in IR mode with any DIRECTV receiver and will control any receiver or DVR model HR34, C31, or earlier in RF mode allowing you to control your equipment through walls and doors. Why am I asking? It seems like there’s more great TV than ever out there, and every hard drive comes with massive capacity, I just want to know if you’re really diving in, that’s all. A winner will be chosen at random, of course no purchase necessary, void where prohibited and all that other lawyerly nonsense.